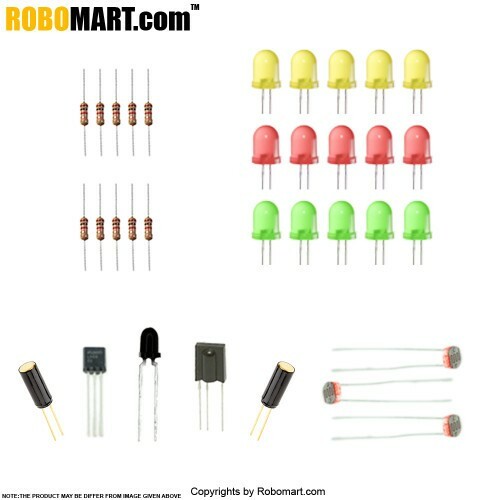 Robomart UNO R3 Starter Kit has more than 16 interesting projects for Arduino fans or those beginners who are interested in Arduino. 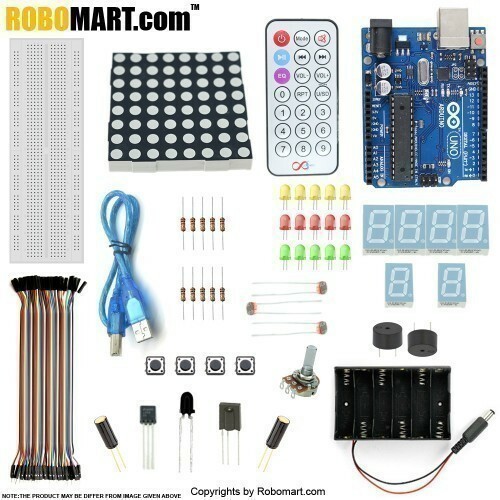 It includes basic simple Arduino project like LED blink, seven segment display, dot matrix display etc. 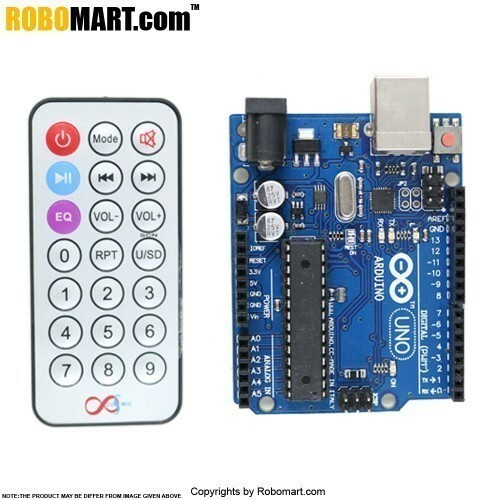 It contains everything needed to support the microcontroller, simply connect it to a computer with a USB cable or power it with an AC-to-DC adapter or battery to get started. The Uno differs from all preceding boards in that it does not use the FTDI USB-to-serial driver chip. 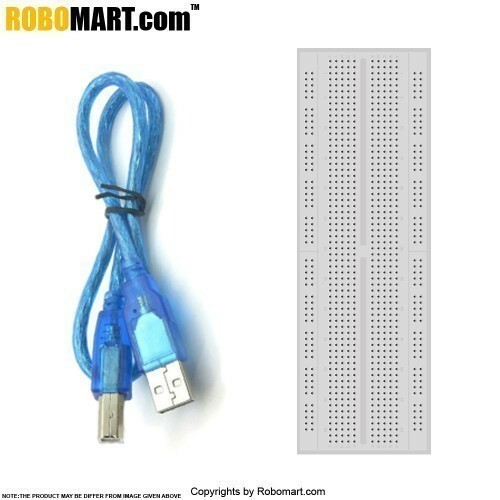 Instead, it features the Atmega8U2 programmed as a USB-to-serial converter. 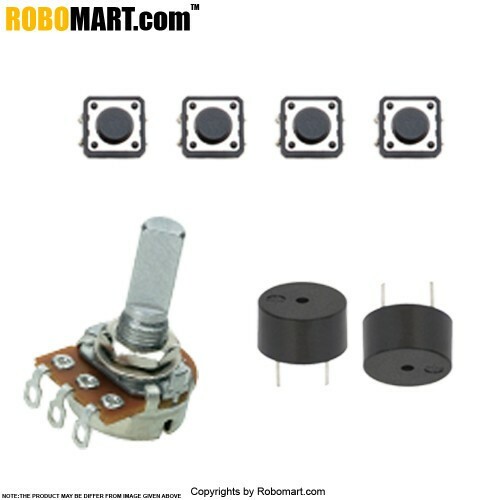 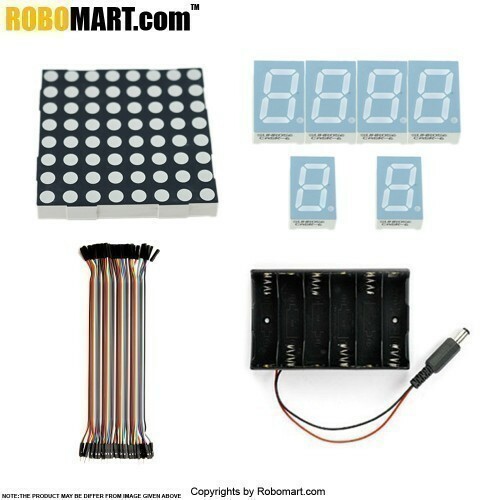 Images of Robomart UNO R3 Starter Kit.